View cart “Chorus (from Burial at Thebes)” has been added to your cart. The Crowned Chorus mask is a redesign of the chorus mask from Medea. 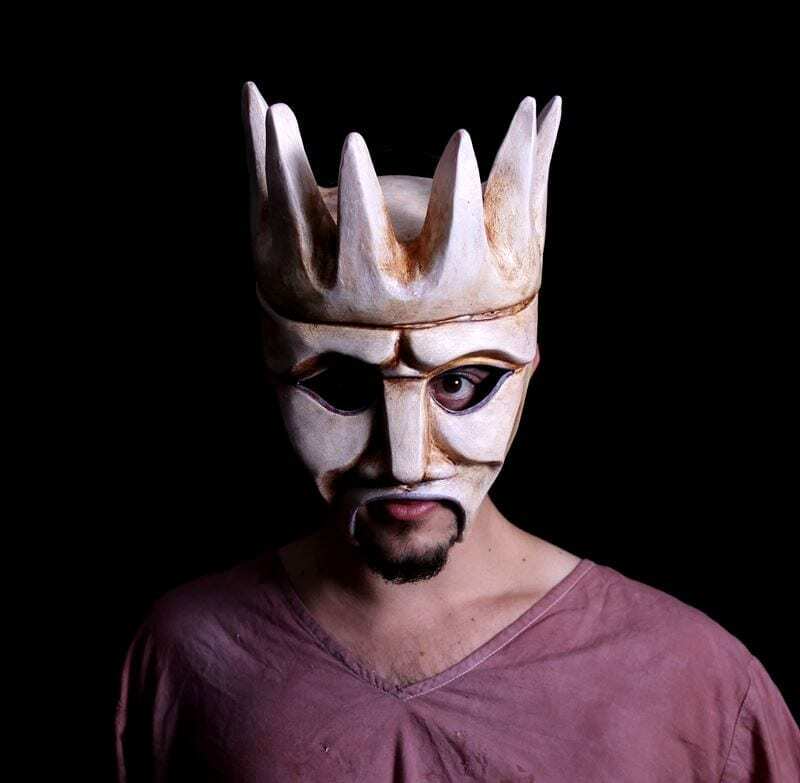 This Greek theater mask can be used as a mask for King Oedipus. 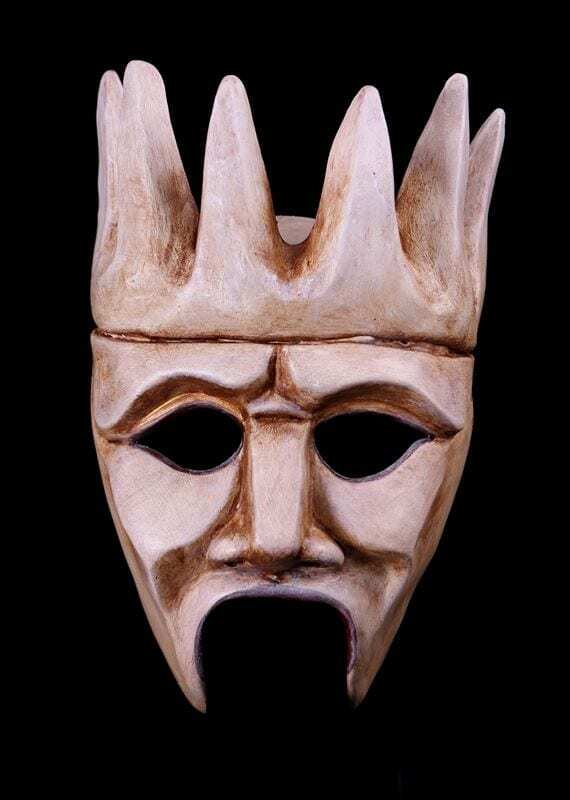 This Greek Theatre mask is one of great passion, anguish, sorrow and fear. There is great power in it’s emotional force. This mask speaks for the masses. The Crowned Chorus mask is an excellent addition to a collection of masks for schools, colleges universities or professional companies.